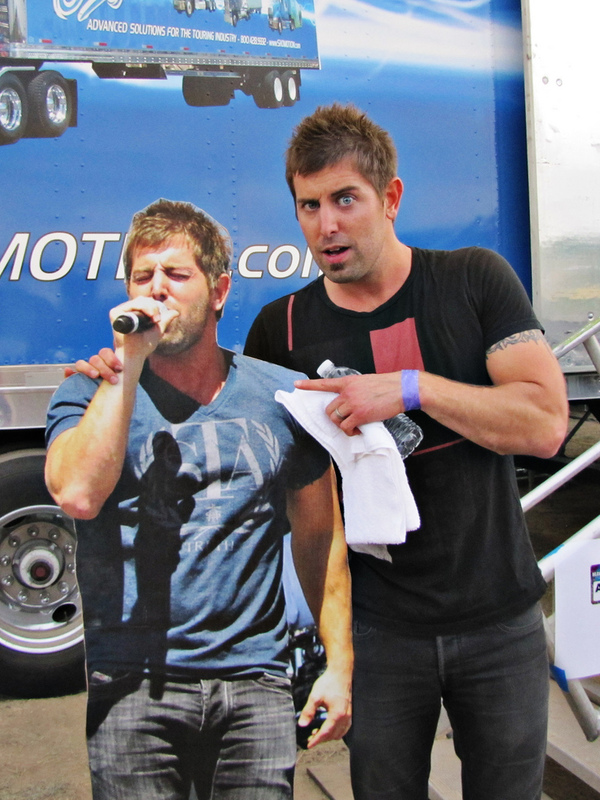 Jeremy Camp keeps freaking me out! We brought our slightly-less-than-life-sized Jeremy Camp cut-out, the official HF-skinned guitar and the “fake” cut-out guitars Pearl and Bryan made for the Heaven Fest Smile Booth this year home from the office since Heaven Fest is moving to a new office in the city soon, and they will likely be used to adorn the walls there, just for fun. 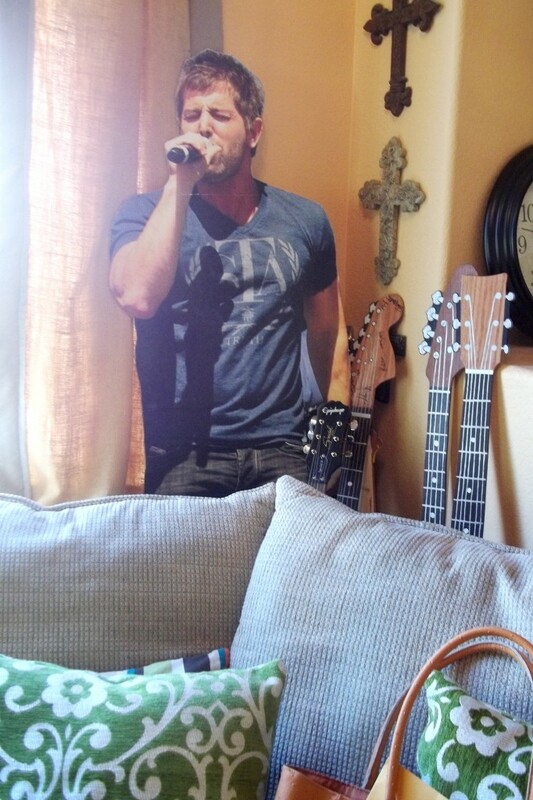 I am wondering how many times I can walk into my house and think there is someone standing behind my couch – scaring the daylights out of me!?!! YIKES! He gets me every time. Tara and Stormie introduced the “real” Jeremy Camp (and his famous “guns”) to the one-dimensional Jeremy Camp backstage at Heaven Fest this summer. They hit it off famously. There are lots of cool Heaven Fest 2012 pictures at www.heavenfest.com. But the singing every morning from that corner is nice.